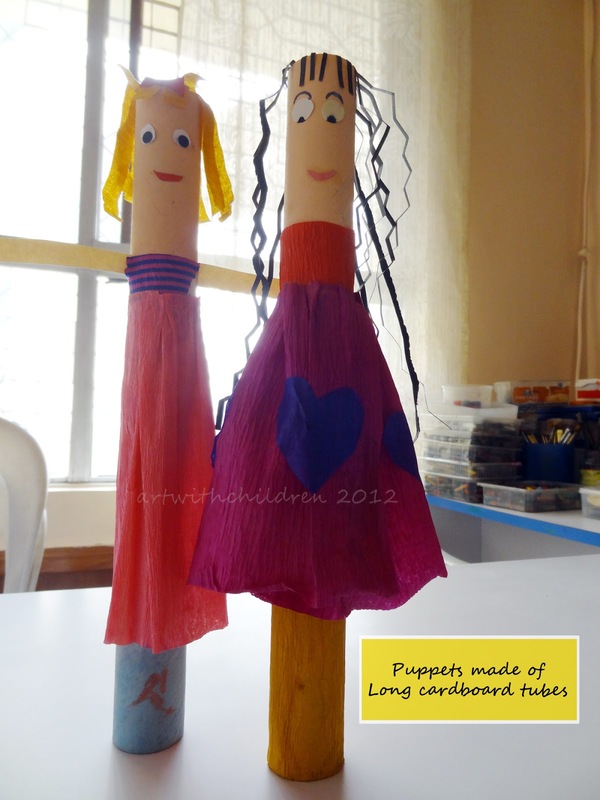 Here we share some of our recent creations 'Puppets made of long cardboard tubes'! I found it to be an interesting activity for 5 to 7 year olds. Please take a look at these lovely puppets and create some if you like them! They can be easily lined up to stand without support. 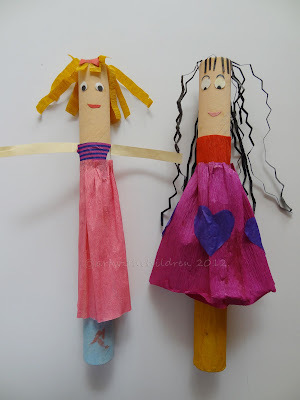 Use colored paper, paper scraps, paints to dress them up! Let the children create on their own. These puppets were created by children 5 to 7 years. 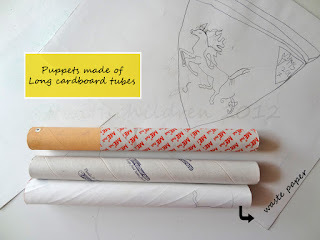 If cardboard tubes are not available, make some with waste cartridge paper or any card stock. The last tube in the picture above was made of waste paper and it looks and feels almost the same.